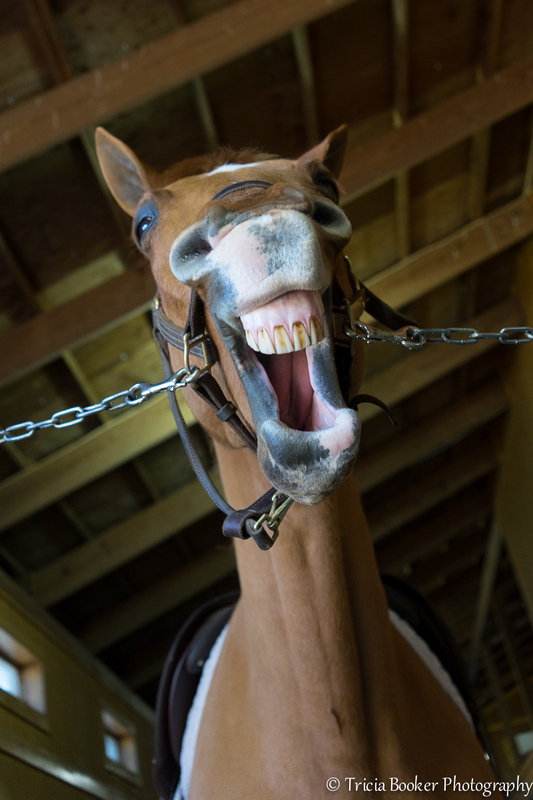 It’s been a very productive week, but I do have to admit I feel like this horse: Happy that it’s Friday! I took my Sony A7 and Sony Zeiss 35mm 2.8 lens out for a photo shoot yesterday at a client’s barn and enjoyed experimenting with it indoors and out. This is a mirrorless camera, so it’s smaller than a DSLR, but it retains many of the features found in its larger cousin, such as a full-frame sensor. I decided to invest in this camera for just such jobs, when I don’t need to photograph action but still want high-quality photos in a variety of settings for clients and their websites. It will also double as the camera I can use for awards shots when I don’t necessarily want to be changing lenses in the middle of the show ring. I rarely use auto ISO on my DSLRs, but I read that many people shoot the A7 in this mode (where the camera chooses the sensitivity to light). So, I selected this ISO setting along with shutter priority and primarily concentrated on composition and didn’t worry as much about the lighting. It was a pleasure to use this camera in this way, and I was pleased with the resulting images. This photo also doubles as my Tagged H entry for this week’s A-Z Challenge. I’m now caught up! A “Happy Horse Friday” back. Have a good weekend. Nice teeth, but I think he/she needs to brush more. It’s Mr. Ed’s cousin! What a great perspective! Thanks! Yes, that is reminiscent of Mr. Ed. Fond memories, for sure! this one is a super fantastic shot!! !